How do we work today? How will we work tomorrow? Communicative and varied work situations require spaces that satisfy the most diverse requirements, including flexibility, transparency and sound insulation. 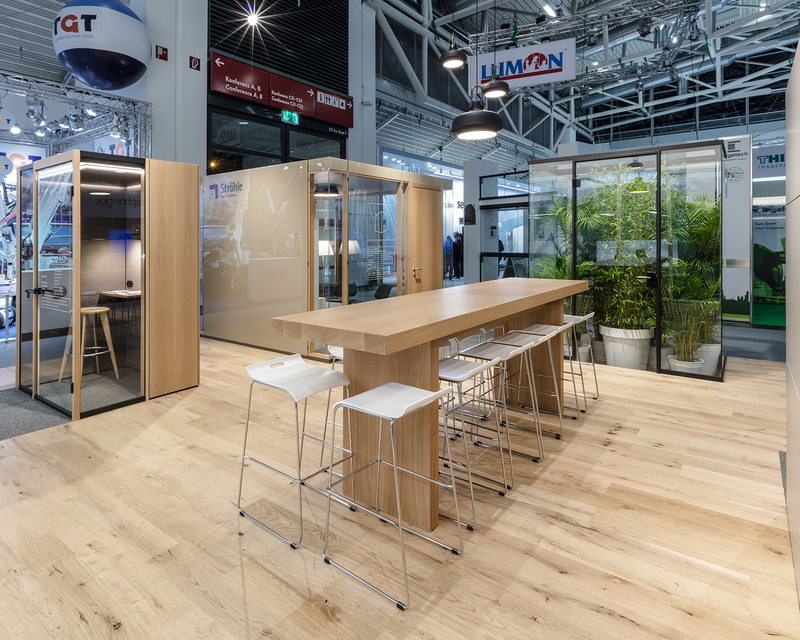 At the BAU exhibition in Munich, we presented a multi-space working environment consisting of open and closed areas which promote communication and creativity whilst also ensuring confidentiality. Partition wall systems, cubicles and acoustically effective elements facilitate the creation of systematic individual office environments that flow smoothly into each other and which make acoustics a true experience. 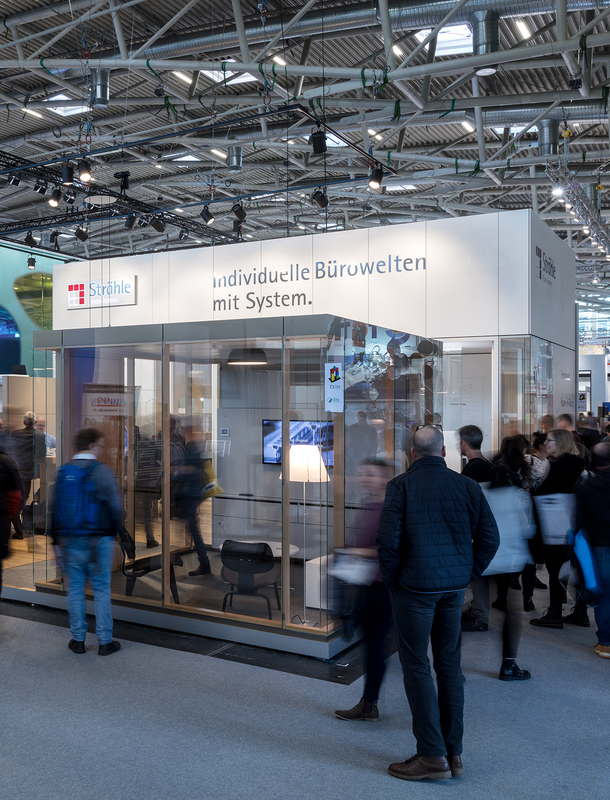 After a great exhibition week with many interesting conversations and exchanges, our conclusion is a positive one: in the upcoming times of change, modern office environments will be even more communicative and inspiring, not to mention more cosy. Warm materials such as wood and fabrics combined with contrasting profile colours continue to grow in importance in modern working conditions. 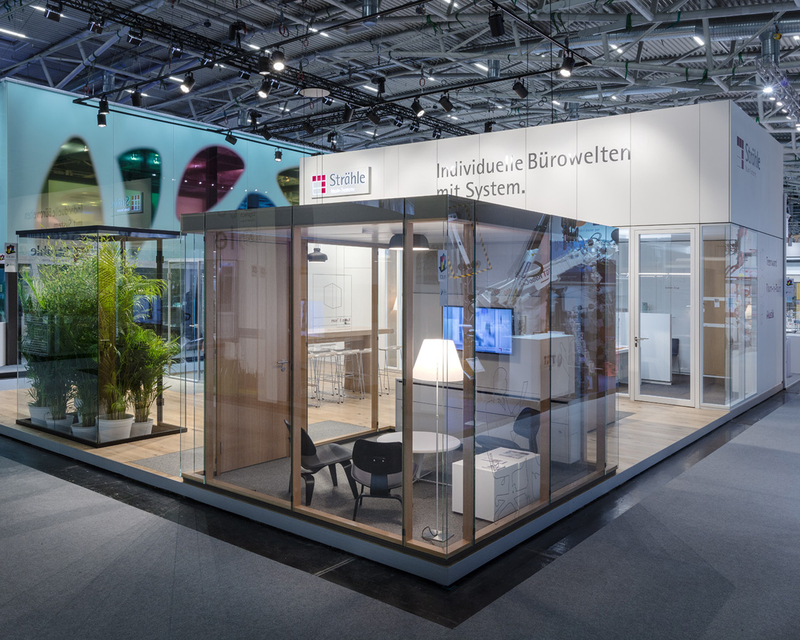 Sustainable concepts will become the standard when planning office spaces, for example DGNB certification (German Sustainable Building Council) for interiors and the C2C product certification scheme. 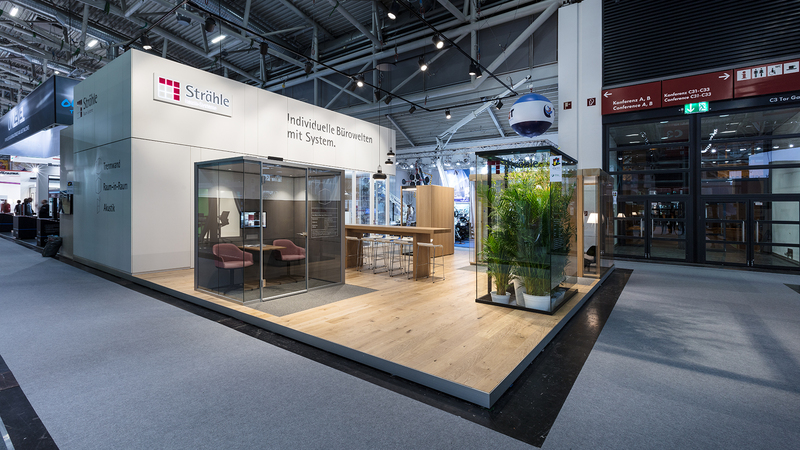 New solutions such as the glass acoustic wall from Strähle are ideally suited to communicative, open-plan office designs. Building and room acoustic calculations, and also acoustic simulations during the planning phase, are basic requirements for this. Sound-insulated retreats are an absolute must these days due to steadily increasing openness and the working methods of today's generation. 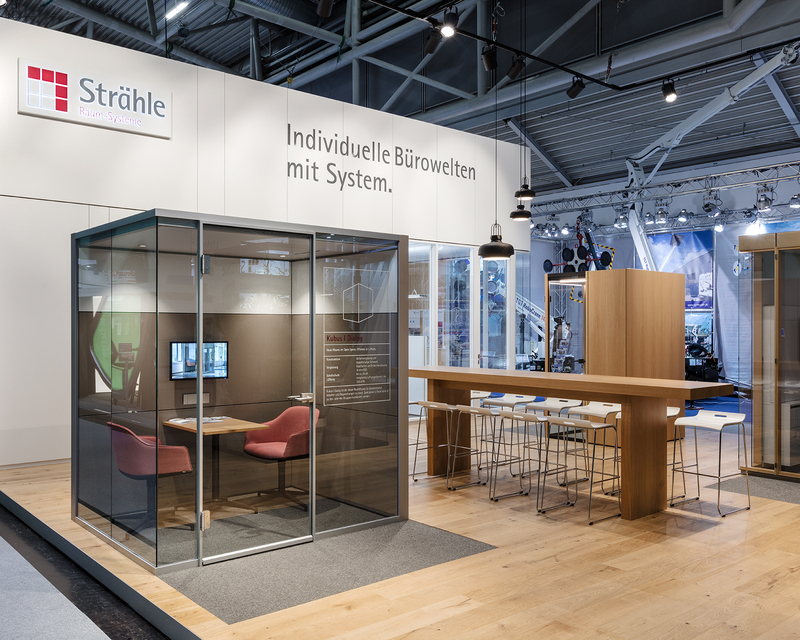 The advantages of flexible partition wall systems are more relevant than ever and are the right answer to the many varied challenges facing office planners. 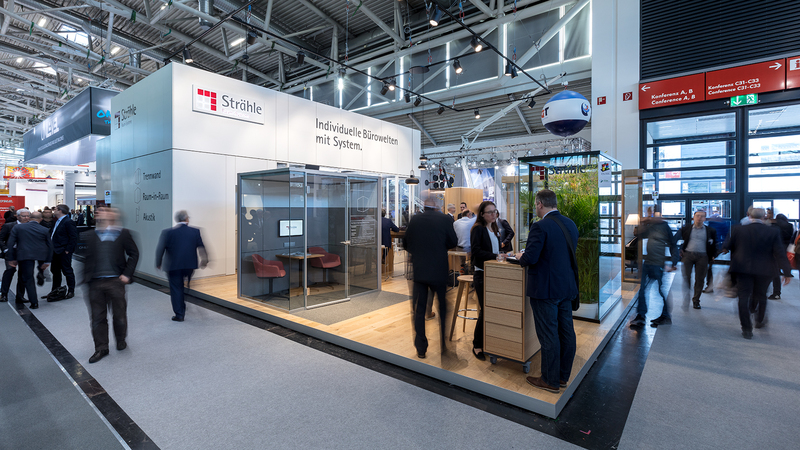 We would like to say a big thank you to all our visitors at the BAU 2019 expo – thank you for your interest in Strähle Raum-Systeme and our products! For inspiration you will find more examples of projects with our partition walls, acoustic systems and room-in-room-solutions.